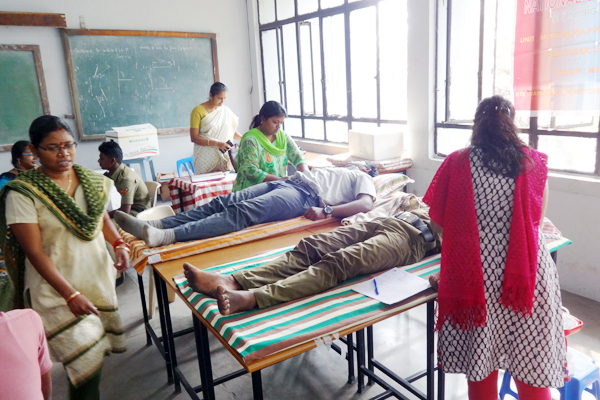 A blood donation camp was organised by NCC in association with Dr.M.G.R Medical University on 20-02-2018 at our campus. 55 students from all the departments donated blood on that day. Principal Dr. k. Sudhagar issued the certificates to the students.